PACSA, founded in 2011, seeks to educate, engage, and empower Iranian-American Trojans through cultural dialogue & community building. Join PACSA in celebrating International Women's Day! The outstanding Iranian documentary, Femininity, will be screened exclusively for the first time outside of Iran in this event. The screening will be followed by a panel discussion about the Iranian women social issues. The panels will feature Prof. Nayereh Tohidi (California State University, Northridge), Prof. Lisa Leeman (USC), Prof. Kevan Harris (UCLA) and Prof. Guilan Siassi (USC). Stay updated by following USC PACSA on social media, or subscribe to our mailing list. 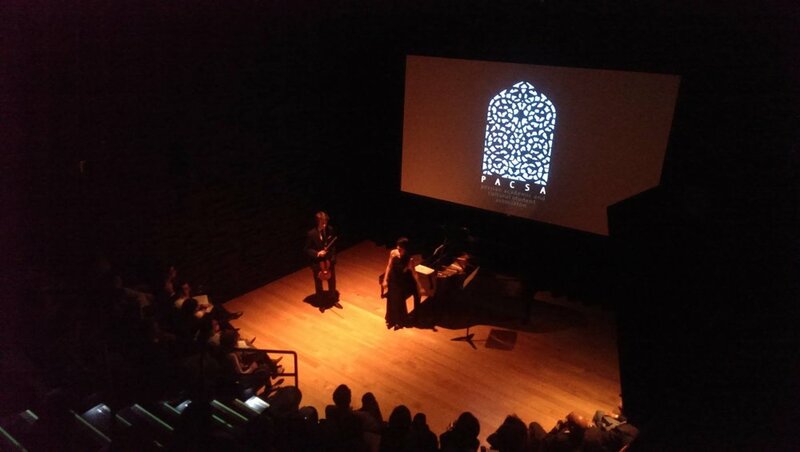 We aim to introduce Iranian culture and heritage by organizing multiple events on campus each semester; including concerts, art exhibitions, theatrical, music and dance performances, film screenings, lectures and workshops. Our hope is to create an atmosphere in which meaningful connections can be made among Iranians, the diaspora community, and other cultures in USC and Los Angeles. Panel discussion featuring Professors Hashem Pesaran, Mohsen Milani, and Laurie Brand. Talk by Mohsen Namjoo: Rhythm in Persian Poetry with a Slant on Linguistic Poetry. In spirit of Nowruz celebrations and family reunions, an exhibition displays of 20 prominent Iranian musicians whose music is interwoven in every Iranian’s day to day life, will take place throughout USC campus. On each stand, visitors can listen to music using the headphones or access the playlists on Spotify. The outstanding Iranian documentary, Femininity, was screened exclusively for the first time outside of Iran. The screening was followed by a panel discussion about social issues faced by Iranian women, featuring Prof. Nayereh Tohidi (California State University, Northridge), Prof. Lisa Leeman (USC), Prof. Kevan Harris (UCLA) and Prof. Guilan Siassi (USC). Professor Ahmad Karimi-Hakkak was PACSA’s Distinguished Lecture Series speaker for Spring 2018. Sara Naeini & band were the performers for PACSA's annual concert. An exclusive lecture on the intersection of Iranian folkloric and modern dance by the renowned connoisseur of Iranian Dance: Farzaneh Kaboli. Talk and workshop by National Geographic's science journalist Babak Tafreshi. Second round of creative writing workshops taught by Hossein Abkenar. Panel discussion with Jonathan Rosenbaum, Homayoun Ershadi, and Anahita Ghazvinizadeh followed by the US premier of 24 Frames and screening of Taste of Cherry. Talk followed by personal portfolio review session with Reza Deghati of National Geographic. A performance by Tara Kamangar and Virgil Boutellis-Taft. 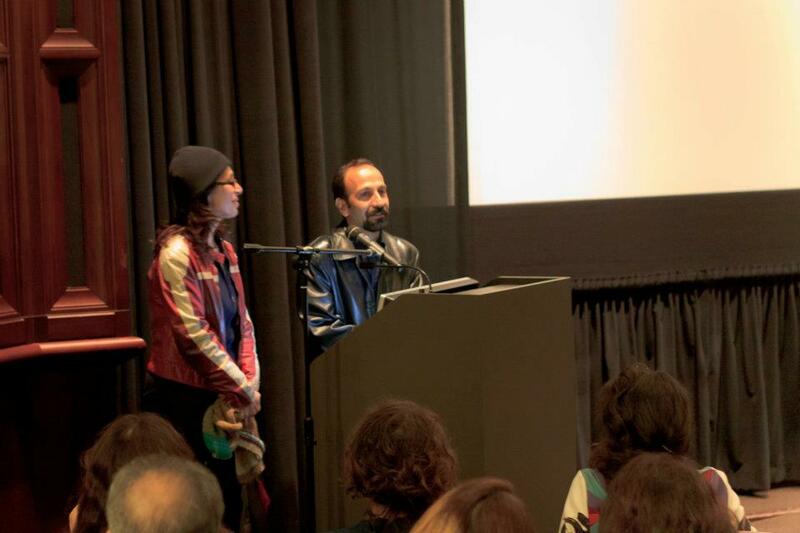 Screening of the Separation right before Asghar Farhadi's historical Academy Award. A memorable performance by King Raam for PACSA's first ever event. The Persian Academic and Cultural Student Association, is a nonprofit, nonreligious, and nonpartisan student-run organization that advances the rights, interests and culture of Iranian students at USC. When you join PACSA, you’re given a voice, in both your education and community, and a chance to be part of a strong network of future professionals. You’ll also have the opportunity to develop the leadership skills that will benefit you throughout your life. With a large audience and sufficient funding from our sponsors, we have the resources to put together active, purposeful, impactful, even inspirational events. Thus, regardless of where your interests lie, you should have no problem finding like-minded individuals with whom to make your mark as a contributing member of USC PACSA.